Harvest Caye is a 75-acre eco-friendly port in southern Belize comprising two adjoining islands in the Stann Creek and Toledo districts. The $50 million purpose-built island was developed by Belize Island Holdings, a subsidiary of Norwegian Cruise Line Holdings Ltd., to be used by ships from the cruise company's three brands on Western Caribbean itineraries. 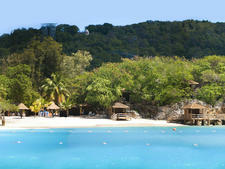 It's a clean, easy-to-navigate and beautifully designed island with lots to do, as well as easy access to the mainland. Harvest Caye offers much that will appeal to visitors featuring four bars, a four-segment zipline (including a thrilling Superman-style segment), a ropes course, exclusive beachfront villas and poolside cabanas, a 7-acre beach with 2,500 loungers, a nature center with three tours daily, a lagoon with kayaks and pedal boats, an outpost of Jimmy Buffett-affiliated LandShark Bar & Grill, a variety of ship-sponsored shore excursion options to the mainland and one of the largest pools we've ever seen. Less chintzy and more focused on supporting the local economy than other private ports, Harvest Caye shows Norwegian's commitment to Belize by hosting native performances, displaying pieces by Belizean artists and offering space for local businesses to sell their wares in the island's shopping area. You'll find a handful of national brands like Del Sol, Cariloha and Harley Davidson as well, but all other shops, bars and restaurants (including LandShark Bar & Grill) are locally owned -- even the duty free store is owned by a local company. Most materials used in constructing the island -- decorative flora for landscaping and hardwoods used for building exteriors -- were also sourced from within the country. The construction of Harvest Caye, which was nearly four years in the making, employed hundreds of local workers for the building phase and some 400 locals continue to work on the island in cruise passenger-facing jobs, while the behind-the-scenes supply chain employs hundreds more. 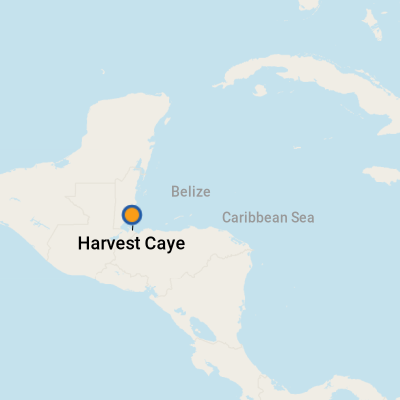 To be clear, Harvest Caye is not a private island in the same way that Great Stirrup Cay is (or Labadee for Royal Caribbean or Half Moon Cay for Holland America). Though owned by a subsidiary of Norwegian -- and so far only a port of call on the itineraries of ships operated by Norwegian Cruise Line Holdings' three brands -- Harvest Caye is a completely separate entity. All on-island venues are staffed by locals and all food and drinks have to be paid for in cash or with a credit card. The sun and heat can be brutal in Belize, and there's not a lot of shade on Harvest Caye. Although small touches -- mist-blowing fans, shade canopies and even air conditioning -- have been added throughout the island to help with the heat, be sure to bring sunscreen, sunglasses, a hat and water (you won't find free water, not even water fountains anywhere) -- and seek respite indoors during the midday sun if you're prone to burning or overheating. In addition, it's a decent trek from your docked ship down a long (but mercifully shaded) pier and through the shopping area to the beach -- farther still if you've rented a cabana. Factor in time for getting from place to place on foot, or wait for one of the golf cart shuttles to whisk you from ship to shore. The biggest difference between Harvest Caye and other purpose-built islands is its commitment to the local economy. It's more of a partnership between Belize Island Holdings and the government of Belize than strictly a business venture, which is why food costs extra and beverage packages do not carry over from ship to shore. The project also aims to give back to the community by volunteering, donating supplies and providing jobs to mainland residents, some of whom commute more than five hours round trip to work on the island. Another one of Harvest Caye's notable attributes is that it's more wheelchair accessible than other private islands because it's not a tender port. Although the dock is long, shuttles are offered for those with mobility issues. A small fleet of special wheelchairs with large rubber tires is available for those wishing to spend time on the beach, as are lifts for getting into and out of the pool. Cruisers visiting Harvest Caye on Norwegian ships can only charge activities and shore excursions to their onboard accounts. All food and drink must be paid for in cash or with a credit card; U.S. and Belizean dollars are both accepted. There are no ATMs on the island. English is the primary language spoken in Belize, including on Harvest Caye. Private islands are some of the most luxurious ports of call, but they aren't just reserved for the rich and famous. Most mainstream cruise lines offer access to private islands for the everyday cruise passenger, too. They provide the perfect reason to ditch every item on your to-do list and get in that R&R time you've been craving, focusing on fun and togetherness. We'll take a look at two private islands undergoing big changes to provide cruise passengers with new amenities and upgraded spaces to stretch out and enjoy: Norwegian Cruise Line's Great Stirrup Cay and Royal Caribbean's CocoCay. Cruise passengers who roll up to Half Moon Cay are greeted with the sign "I Wish I Could Stay Here Forever," while over at another Bahamian private island, Coco Cay, it's seemingly always a "Perfect Day." Both islands are run by cruise lines: Half Moon Cay is used exclusively by Holland America and Carnival passengers, while Coco Cay caters to Royal Caribbean cruisers. Regardless of which island you're on, after a day swaying on a hammock overlooking the turquoise ocean, that #privateislandlife seems more like a life goal than a clever hashtag. Let's explore the amenities offered on each island to help you determine which port of call is best for your next cruise adventure. The eastern reaches of the Caribbean are a unique blend of melding cultures and tropical waters, as well as territories that remain a part of the United States. 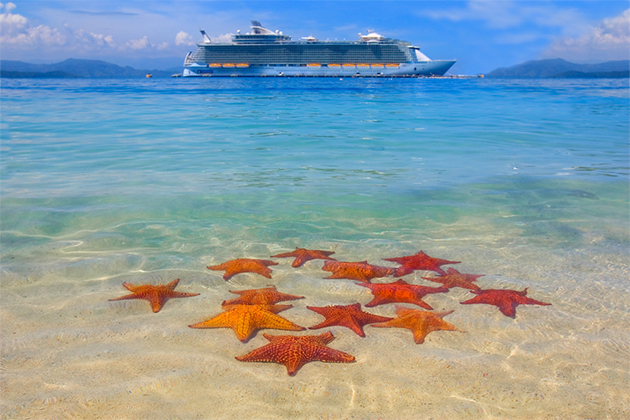 Eastern Caribbean shore excursions are also a blend of familiar beach days and more unique and adventurous sights and activities. It's a part of the world with a surprising amount of history if you wish to unlock it, but miles of sand stretch before you if you'd rather not think about anything at all. Before the sun melts all your cares away (including the ability to make decisions), we mapped out some of the best Eastern Caribbean cruise excursions so you can sprinkle your next sailing with the right amount of exploration and relaxation. 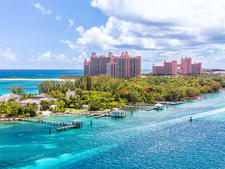 If you're new to cruising, it's easy to get Bermuda and the Bahamas mixed up. Both island chains have a shared British heritage and are located in the Atlantic Ocean, not the Caribbean. 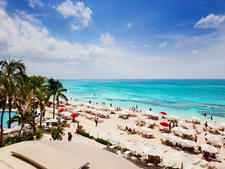 Both are easily accessible from the East Coast, which makes them a favorite for cruise lines. Yet, the two archipelagos have some important distinctions when it comes to cruise seasons and itineraries and island attractions. 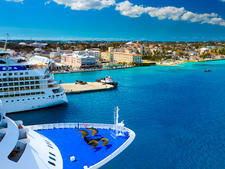 Read on for more tips on how to choose between a Bermuda or a Bahamas cruise.